Home > Racing News > Jackson Sets New World Record!!! Jackson Sets New World Record!!! Posted April 18, 2017 by NCRC & filed under Racing News. 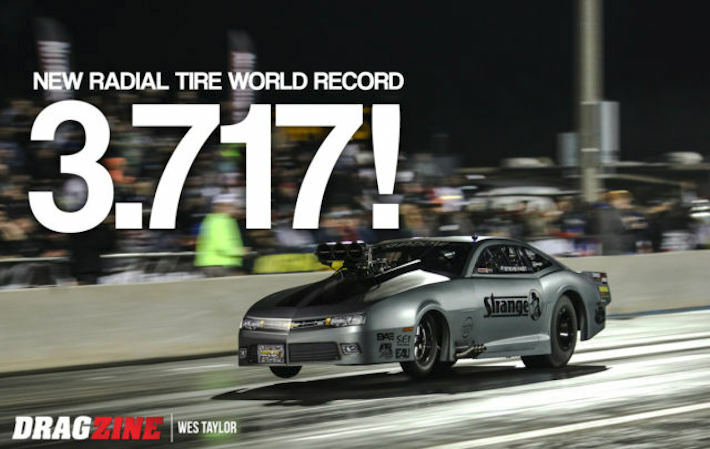 “Stevie Fast” broke his own Drag Radial record last weekend at the first ever Wooostock held at Darlington Dragway. Barry Mitchell started off the event with a grudge race win against Jackson 3.75 to a 3.88, and Mitchell continued to lead the pace through eliminations. However in the “All NCRC” final when Jackson and Mitchell squared off, Jackson and Shuler turned the dials up on Shadow 2.0 to take the win with both a holeshot, and a new World Record!! Jackson went .013 on the light, .953 60′, 2.4797 to the 330′ and a blistering 3.7178@198.76, in the other lane Mitchell was close on his heals with a very quick 3.7456@198.33 – what a great race between two very fast competitors! Congratulations to Stevie Fast and Phil Shuler on the win and new World Drag Radial Record, also to Barry Mitchell & Team on the grudge race win, strong performance and runner up!! !